What’s the best way to eat chicken? Smoked, of course! If you disagree, then it is time to prove yourself wrong. Making smoked chicken breast is an easy and delicious way to prepare meals for the entire family. Because it freezes well, you can add it to sandwiches, quesadillas, salads, or just have it whenever you feel like it. It is a straightforward, low-hassle process that anyone with a grill or smoker can accomplish, and if done right, you won’t believe how much juicier and flavorful your chicken can be. We are going to show you, step-by-step, how to make smoked boneless chicken breast like a pro with some additional tips and tricks. 2. How Long Does It Take to Make Smoked Boneless Chicken Breast? 3.1. 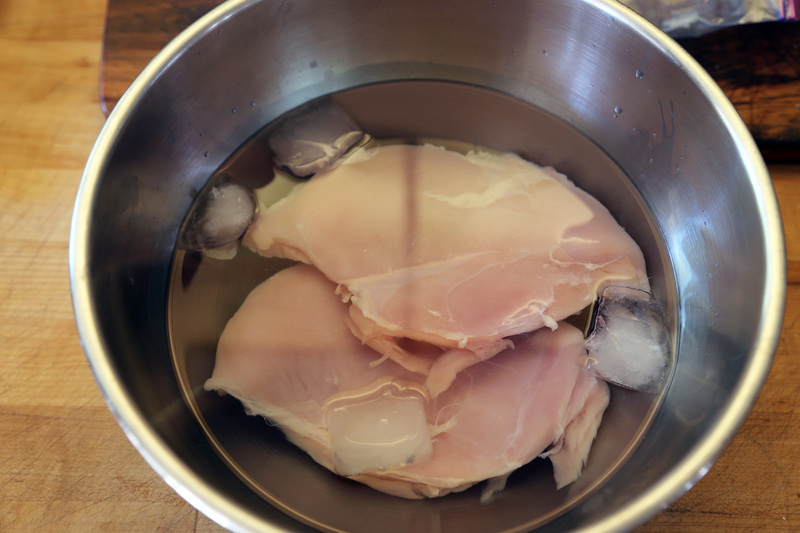 Why You Should Brine the Chicken? How Long Does It Take to Smoke a Boneless Chicken Breast? If you are wondering how long does it take to make a smoked chicken breast, then let me tell you that a lot of factors come in play. The cooking time is highly connected with the amount of chicken meat you decide to smoke. That means that the cooking time is not the same for all the chicken parts and can vary depending on each cut. In average the required cooking time for a whole chicken is about 4 hours but can vary due to other factors. If your chicken is bigger than the average size, then it may take a bit longer. Also, have in mind that the doneness of the meat varies on personal preference. Someone may like a juicy cut while some other enjoys a dry one. For our recipe, the required time to smoke a boneless chicken breast is about 1 hour at 225-250°F (Approximately 40 minutes per pound of chicken). We will also need another 1 hour for the preparation process, so, in total, we will need about 2 hours of our time for the whole recipe. After you learned how long does it take to make smoked chicken breast in the smoker, now it is time to start brining your meat. If you are thinking just to skip the brining step and jump directly to the grilling/smoking process, then I suggest you to think again. Why You Should Brine the Chicken? While it may seem like an unimportant process to some, brining is a must if you are cooking any type of meat. No mater what type of brine you are using, even the most basic water and salt brine can have a huge impact on your meat. A brine adds flavor and keeps the meat tender and juicy when cooked. It makes the meat loose the protein structure and as a result, it increases the juiciness. It allows extra water and flavors to be trapped by the protein during the process and then turn them into moisture and flavor during the cooking process. That's why it is very important, especially for our smoked boneless chicken breast recipe. To begin, fill a large, rectangular/round container with the mixture of cold water, salt and sugar. Make sure there is enough space to fit and cover the chicken with the mixture. This will be your basic brine. If you’re feeling adventurous, add ¼ cup of soy sauce, lemon juice and olive oil to the mixture, especially if you decide to prep your chicken for a few more hours. Give it a few good stirs and set it aside while you prep your chicken breasts. Take the chicken breasts out of the packaging and pat them as dry as possible with some paper towels. Then, place them in the container with the brine and soak them in the refrigerator for 30 to 60 minutes. A good way to cut down the entire prep and cook time is to soak them overnight, which improves their tenderness. Once the chicken has been soaked, pat them dry again and liberally apply your seasoning mixture or rub into them, making sure not to miss any areas. Use your hands and massage the spices into the meat. Some recipes suggest you should rinse the chicken of the brine before seasoning them, but this is not necessary. If you’re one of those people that can’t stand eating the same flavors for multiple days, you can even apply different rubs to some of the chicken breasts instead of doing a whole batch of one type of flavor. Quick Cooking Tip: You want to make sure your chicken is cold throughout the entire process right up until it hits the grill. This is important because cold meat will absorb smoke better than room-temperature meat, so let the chicken breasts sit inside the refrigerator while you get the cooker ready. If you are using a smoker, light a full load of charcoal in a chimney starter for about 15 minutes, leaving both the intake and chimney baffles open. This is done by crumpling some newspaper to light at the bottom of the charcoal in the starter. Throw some coals into the firebox and wait until the smoker grill consistently reaches 225°F. Now, we all know that one friend, neighbor, or family member that has a crusty, dirty grill that you cringe at every time you visit their house. A dirty grill is no good for cooking, and you don’t want to smoke your chicken breasts (which have little fat and will stick) on one. If you haven’t kept up in proper grill duties lately (and this isn’t so bad) and are looking for a new grill combo, check out these brand new smoker grill reviews. Do you already have a new grill but haven't had the time to maintain it well lately? Don't worry, just before the grill gets too hot but is warm enough to scrub, don’t slack off. It is time to get down into it. Use a wire brush to scrub it down. After that’s done, use a pair of tongs and dip a paper towel in some canola oil to lubricate the rack. With a charcoal grill, light a full load of charcoal in a chimney starter as in the first paragraph in this step. Open the three bottom vents of the grill as wide as they will go, and leave the top vent open as well throughout the smoking process. Place an empty foil-lined water pan in the grill and dump some heated coals beside it, creating an area for indirect and direct cooking. Once the grill or smoker is preheated (and clean), add your wood chunks on top of the coals. Wood chunks are better to use for smoking bigger pieces of meat because they will provide better smoke quality for longer periods of time. Now, after preparing the smoker for cooking and pre-heated it, it is finally time to start making your smoked chicken breast. Take it from the kitchen and set it over the water pan. The temperature will drop when the meat is placed inside the cooker, so be sure to adjust the bottom vents to maintain a temperature of 250°F throughout the process. With the smoker, this should be easier to do by adjusting the intake baffle until the temperature inside your cooker stabilizes while leaving the chimney baffle completely open. You will probably have to close the intake baffle halfway or more to reach the desired temperature. If the temperature drops, simply add in more coals from the chimney starter. Maintain the temperature and avoid lifting the lid (no peeking!) for 45 minutes. You can admire its beauty when its done. This is usually the hardest part for people, but it is worth it in the end. You can use this time to employ your sense of smell instead of your sense of sight and enjoy the fragrant aroma of your soon-to-be beautifully smoked meal. Meanwhile, take advantage of the time and heat your sauce in a small pan to baste your chicken breasts with during the last 15 minutes of cooking time. Turning the chicken is optional, but it helps evenly distribute the sauce. When it comes to basting, the idea is very simple: pour, brush, cover, smother your meat with more delicious flavor. If you’re worried about how the overall flavor of the chicken and sauce will turn out, baste the chicken for a longer amount of time. The flavors will come together the longer and more patient you are with it. You want to make sure that after an hour, the thickest portion of the largest chicken breast reaches an recommended internal temperature of 165°F. In summary, making smoked chicken breast is easy and yields delicious food for days. Also, buying your chicken in bulk can save you some money in the long run. If you’ve been waiting for an excuse to use your grill, then wait no longer! With so many different seasoning mixtures you can try, we recommend experimenting with different wood blocks to make your own flavor combinations. Chicken doesn’t have to be boring or bland. With smoked boneless chicken breast, all you have to do is saute some fresh, seasonal vegetables for a quick and healthy side dish, or chop it up and combine it with some thick bbq sauce or mayo for a bold chicken salad.